Intelligent, witty, and poignant, Gilded Age presents a modern Edith Wharton heroine—dramatically beautiful, socially prominent, and just a bit unconventional—whose return to the hothouse of Cleveland society revives rivalries, raises eyebrows, and reveals the tender vulnerabilities of a woman struggling to reconcile her desire for independence and her need for love. ELEANOR HART had made a brilliant marriage in New York, but it ended in a scandalous divorce and thirty days in Sierra Tucson rehab. Now she finds that, despite feminist lip service, she will still need a husband to be socially complete. A woman’s sexual reputation matters, and so does her family name. Ellie must navigate the treacherous social terrain where old money meets new: charitable benefits and tequila body shots, inherited diamonds and viper-bite lip piercings, country house weekends and sexting. She finds that her beauty is a powerful tool in this world, but it has its limitations, even liabilities. Through one misstep after another, Ellie mishandles her second act. Her options narrow, her future prospects contract, until she faces a desperate choice. With a keen eye for the perfect detail and a heart big enough to embrace those she observes, Claire McMillan has written an assured and revelatory debut novel about class, gender, and the timeless conundrum of femininity. This reading group guide for Gilded Age includes an introduction, discussion questions, ideas for enhancing your book club, and a Q&A with author Claire McMillan. The suggested questions are intended to help your reading group find new and interesting angles and topics for your discussion. We hope that these ideas will enrich your conversation and increase your enjoyment of the book. Cleveland, like many rust belt cities at the dawn of the twentieth century, was an industrial juggernaut fueled by coal, steel, and shipping on the Great Lakes. The wealth from this commerce set up a society of leading civic families. Generations later, these original family names are still Cleveland’s elite, bonded together through an unspoken code of behavior and a web of interwoven relationships. When failed iconoclast Ellie Hart returns to her hometown after divorce and scandal, she challenges this cosseted group’s priorities, morals, and expectations. In this modern retelling of Edith Wharton’s The House of Mirth, feminism, friendship, and the unwritten laws of society are braided together and showcased in this beautifully descriptive, inquisitive novel about a woman trying to change her fate. 1. In parts of this novel, there is first-person narration from an unnamed woman: a wife, friend, and mother-to-be. In other parts there is a third-person narrator. Did you prefer one style of narration to the other? Did you have any questions about the narrator that were left unanswered? 2. Do you like and trust the narrator of the novel? Is she always honest with herself and others? What do you think motivates her? 3. How much of an impact do the judgments and actions of the narrator have on how you feel about the people and events she describes? Does she like her friends? 4. Is Ellie a feminist? What are her views on marriage and being a wife? Do they sync with her actions? Did you relate to any of her sentiments? 5. Do you think every social group, every society, has “victims” and “victors”? Did society hurt Ellie, or did she hurt herself? 6. Ellie says to Selden, “Passion is fine…What I really want is freedom.” Is she being genuine when she says this? Does she want freedom consistently through the novel? If you could give Ellie one piece of advice, what would it be? 7. What mistakes does Ellie make? Do you feel sympathetic to her situation? How does her social circle judge her? 8. Why does Ellie resist Randall Leforte’s advances and reject his proposal? Why does she find him so cringe-worthy, when in fact he is both handsome and wealthy? 9. When Selden binds Ellie’s wrist with her ribbon, and she wears it, what does it mean to him? To her? Are they bound together through anything more than sexual attraction? 10. The narrator says, when chiding herself for not calling Ellie to check in, “Funny that with a friend that old I’d need to gin myself up to call her.” What does it say about their friendship? Have you ever felt that way about a friend? 11. Do you think that the narrator’s friendship with Ellie would have persevered if Ellie hadn’t betrayed her trust? 12. What do you think could have saved Ellie? 13. If you’ve read Edith Wharton’s The House of Mirth, how does this modernized version compare? 14. Consider the title, Gilded Age, now that you’ve finished the novel. Has the meaning changed in any way? 1. A scene in the book describes a benefit at the Cleveland Museum of Art where select members dress up and pose as famous pieces of art. What pieces of art would you and the other members of your book club best embody? Discuss with your group. 2. Read aloud the first chapter from Edith Wharton’s The House of Mirth at your book club. Compare and contrast Claire McMillan’s updated version in chapter two of Gilded Age. What initially drew you to Edith Wharton’s novel The House of Mirth and inspired you to update this classic? Edith Wharton has always been one of my very favorite authors and The House of Mirth is a favorite of her work. I read it first in college, and it made such an impression—one of those books that you read at the exactly right time. A few years ago my husband gave me a first edition bound published copy. We were discussing why I like Wharton’s work so much, and I remember saying that everything she wrote about still was happening today. And the idea for the update was born. What was your process for modernizing the story? How did you decide what scenes to rework or to leave out? I reread the book through again once, and then I placed it next to me as I wrote. If a scene stood out in my mind, such as Lily and Selden in his apartment or the tableaux vivants scene, it was included. I told myself at the start that I didn’t have to kill her in the end if I didn’t want to. I actually attempted to write a happy ending for Ellie and William, and it was awful. Why Cleveland? Are you from the Midwest? What is it about the Midwest that makes it a compelling setting for this novel? I grew up in Pasadena, outside of Los Angeles. Pasadena and Shaker Heights were built around the same time in the 1920s and they look quite similar—though Pasadena has palm trees and Cleveland, snow. My husband is the native Clevelander, and “imported” me after we married. I obviously love Cleveland and find it inspiring. It has faded grandeur and a nostalgia for better days that permeates. There is a fierce kind of pride about Clevelanders, and yet they run down their city harder than any outsider. The cultural institutions such as the museum and the orchestra are incredible, and of course I snobbishly knew nothing of them until I moved here. The sense of community is both warm and practical—very Midwestern in attitude. 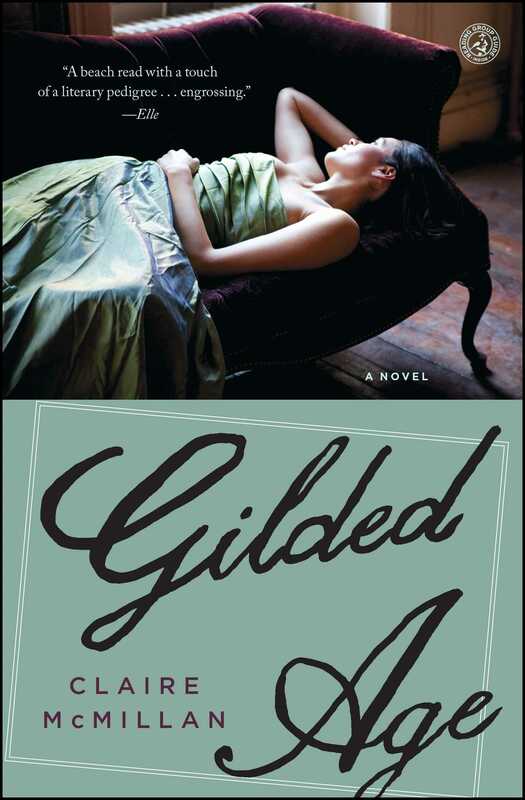 In Gilded Age, Ellie is a divorcee and in recovery from drug and alcohol abuse. Why did you decide these traits were important to her character? In the original, Lily Bart is on the cusp of becoming a spinster and this is a scandalous, almost semi-tragic thing for her. I tried to think of some traits to give Ellie the same sort of air about her. Though divorce is common now, it’s still considered gossip fodder. I added in her drug use because in the original Lily smokes and gambles, which the men in her circle do too. However for Lily these vices make her outre, while for the men these activities are par for the course. I wanted to hint at a double standard I believe exists today concerning partying and women. If men experiment or even if they have a problem, they’re usually looked at as bad boys or sowing wild oats, an extreme example is Charlie Sheen. While I think women who get in trouble with drugs are judged much more harshly and differently, i.e. Lindsay Lohan. And of course throughout House of Mirth, Lily begins to use a sleeping potion culminating in her tragic end. I gave Ellie a substance problem to echo this as well. How would you describe the narrator of this novel? Do you prefer writing in the first-person or third-person? The narrator is a spectator to what is really Ellie and Selden’s story. I was thinking very much about Nick Carraway in The Great Gatsby when I wrote her. Of course she has her own story going, as well as what she witnesses. I’m not sure I have a preference for writing from one point of view over the other. To me they both have their advantages but also limitations that have to be wrangled. You pepper the novel with contemporary stylistic touches like text messages, social media references, and email correspondence. Is this a direct parallel to letter-writing in centuries past? In your opinion, is there a difference when you are writing in these modern mediums? Letters serve as a pivotal plot point in the original book, both their contents and their existence as physical objects. I wanted to make sure my update felt realistic so I used the mediums we use daily. Emails are like the new millennium letters to me. It feels like such a glut sometimes that I would love to have someone else deal with them, much like Bertha Dorset ropes Lily into answering her correspondence in the original. Text messaging, also writing on someone’s Facebook wall, have the flavor of leaving calling cards at people’s homes back in the day—a way to signal interest, a desire to start up a friendship, a social nicety, fulfilling an obligation, perhaps a request for a more private conversation. You received your MFA in creative writing from Bennington College. What was this experience like? What was the most important thing you learned? Bennington is an incredible place, and I am so grateful and frankly amazed that I had the opportunity to study there. When I was admitted, I was still practicing law full time and knew no other writers and few people who cared about books the way I did. Bennington gave me a community of fellow writers. You’d go into the campus bar and people would be discussing novels or poets. You could always strike up a conversation by asking someone what they were reading. I learned so many things, but one thing that stands out was the advice to read authors with whom I don’t have rapport. I had stuck close to reading lots of authors with similar obsessions or world views. I think that’s a pretty natural desire to try and find yourself in a book regardless of the setting or characters. But when I started reading authors who were maybe plowing a field totally unlike mine, it became easier for me to digest the craft of what they were doing and pay attention to how the book was put together, rather than fall under the spell of the story. Are you planning to write another book? Yes, I’m working on a new novel, and at least part of it is set in Cleveland in the 1920s. Claire McMillan is the author of Gilded Age and The Necklace. 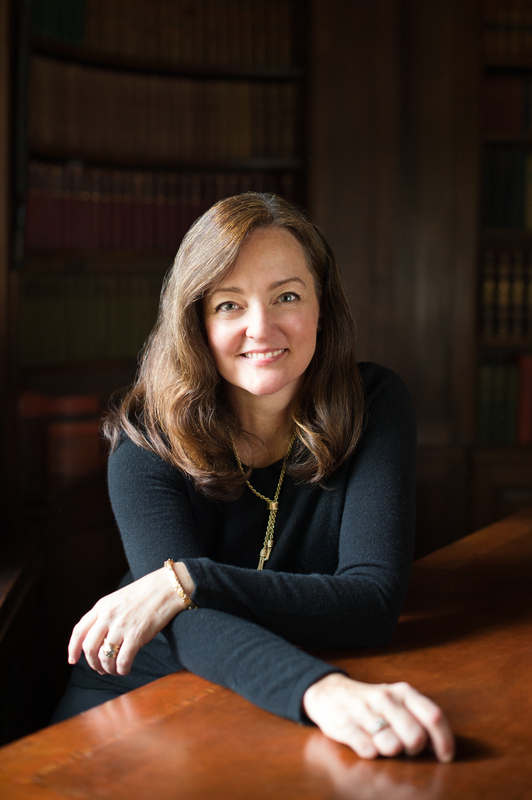 She is the 2017-18 Cuyahoga County Writer-in- Residence and currently serves as a member of the board of trustees of The Mount, Edith Wharton's home in Lenox, Massachusetts. She practiced law until 2003 and then received her MFA in creative writing from Bennington College. She grew up in Pasadena, California and now lives on her husband’s family farm outside of Cleveland, Ohio with their two children.